Help reduce the risk of digestive colic with this Farnam favorite. Only SandClear crumbles contain psyllium seed husk recommended by veterinarians to support the removal of sand and dirt from the ventral colon. This supplementary source of dietary fiber is ideal for horses that graze or eat off the ground. For average size (1,000 lb.) adult horse – give one scoop (5 oz.) to 1.5 scoops of SandClear Natural Psyllium Crumbles daily for one full week (7 days) out of every month. Give less to ponies, yearlings and foals; more to larger horses and draft breeds. 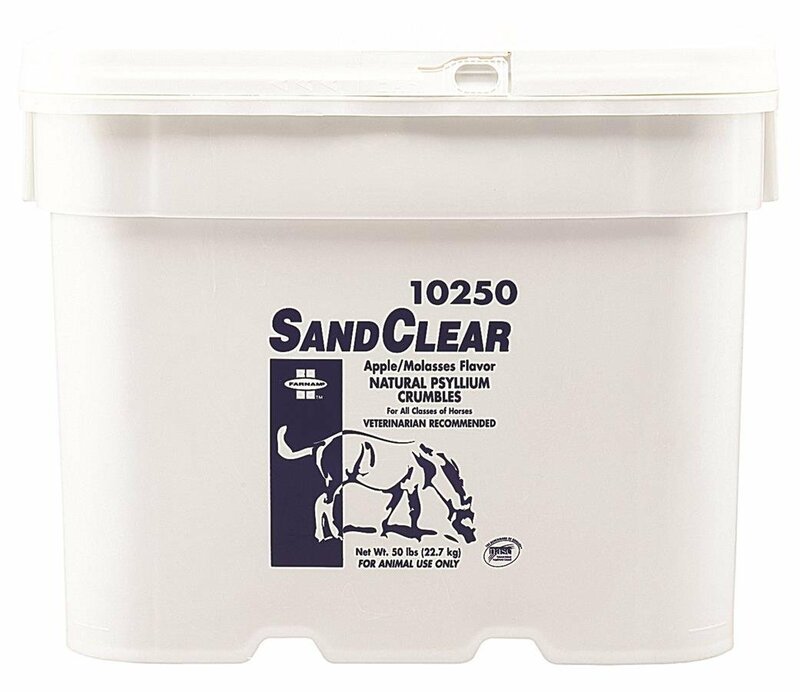 Provide plenty of fresh water to horse when using this product.